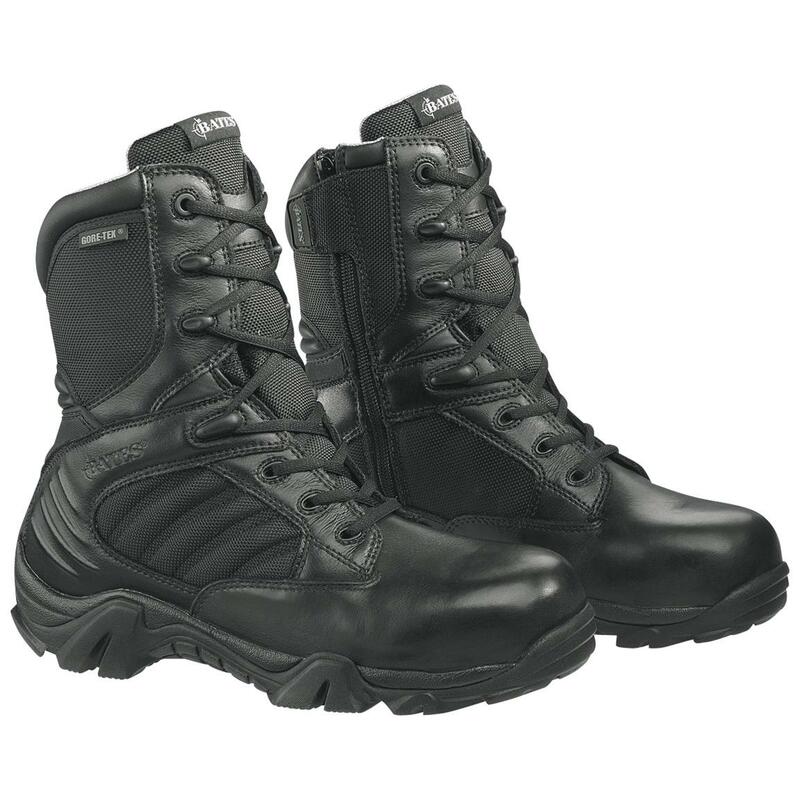 Bates® Waterproof GX-8 Gore-Tex® Safety-toe Duty Boots protect and serve your feet with support and slip-resistance! Wear the GX-8 on the beat and stay one step ahead of the bad guys. Made with the famous Gore-Tex® waterproof lining, full-grain leather and ballistic nylon uppers combined with full-cushioned removable comfort insoles, all riding on the exclusive Ultra-Lites Xtreme outsoles with exceptional stability and traction TM so you won't slip up on the job! Lightweight... just under 4 lbs. State Size, as available in Shopping Cart. Order ONLINE Now! Mens Bates GX-8 Gore-Tex Composite Safety-toe Boots is rated 5.0 out of 5 by 1. Rated 5 out of 5 by mlsknnr from What I expected I have always liked Bates and these are up to my expectations! Extremely comfortable, I have no problem wearing these for a 14 hour shift. They kept my feet dry and warm during inclement weather.